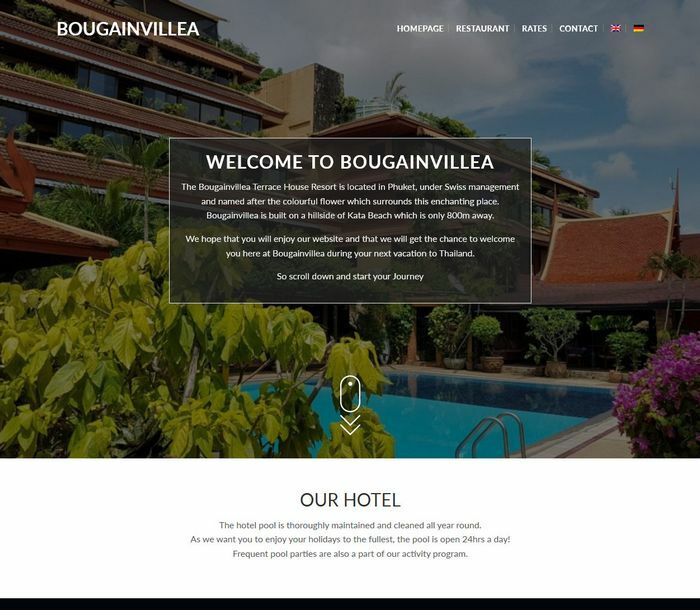 The Bougainvillea Terrace House Resort is located in Phuket, under Swiss management and named after the colourful flower which surrounds this enchanting place. Bougainvillea is built on a hillside of Kata Beach which is only 800m away. We created for them a simple yet modern secure responsive one-pager website. We also installed a multilingual back-end system (WPML).